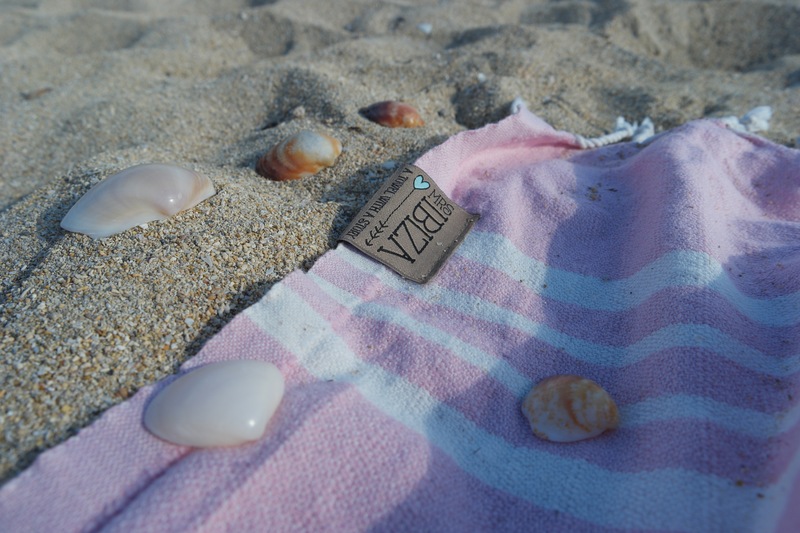 In today’s post I’m sharing some of my essentials and products I like to use at the beach! Let me know your favorites so I can also further explore and discover new activities or products! During my last vacation in Mallorca I was very proud to finally be able keep a routine while travelling! As soon as I would get to the beach I would run 2,5 – 3km every day and between sprints and jogging along the seashore, hydration was one of the most important aspects to keep in mind! I really like these Tupperware water bottles as they are easy to use and wash. You can even add lemon or peppermint to make a delicous detox water for summer time. There are different sizes and colors to choose from, however I prefer this mini pink bottle as it easily fits in a purse – it’s the smallest in the collection. I have 3 sizes and love them all: the smallest, which I always carry around; a medium size for the gym and the biggest (1L) to keep on my desk at the office. Find the Tupperware bottles here. 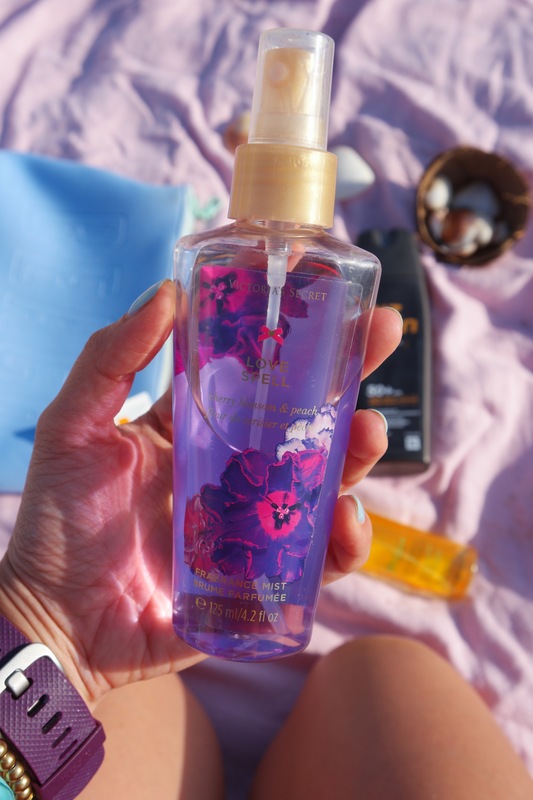 I always carry two small bags with different products: One with sunscreens and other products I may use on warm summer days; and a second with the water bottle and a piece of fruit or a snack. 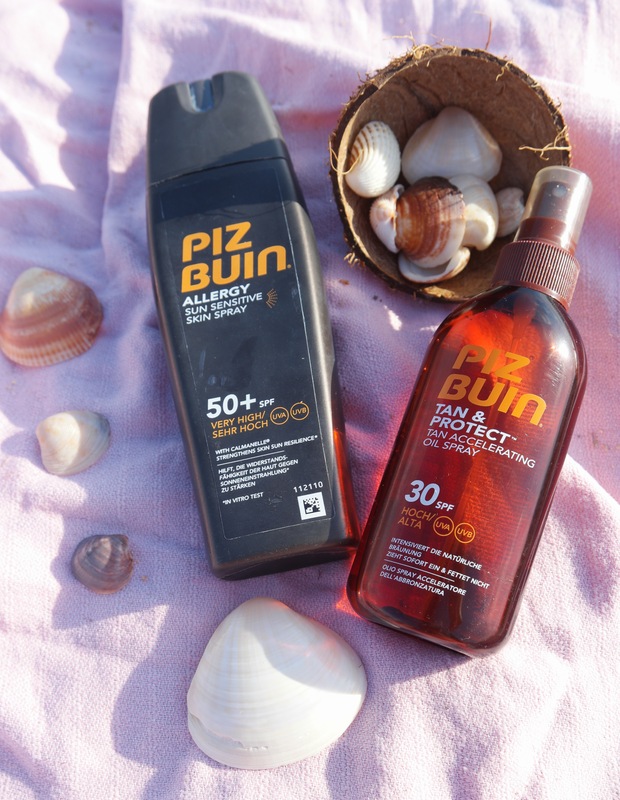 Piz Buin suncream & Oil with SPF 50 and 30 respectivelly. Anthelios XL Tinted cream SPF 50+. Love Spell fragrance mist from Victoria’s Secret. Hair spray protector from Furterer. A good romance is my guilty pleasure during summer days. I can’t simply go to the beach without a book as I get bored quite easily… I know there’s plenty to do on the beach, but after running and swimming for about 20 minutes I feel completely ready to enjoy a good read. 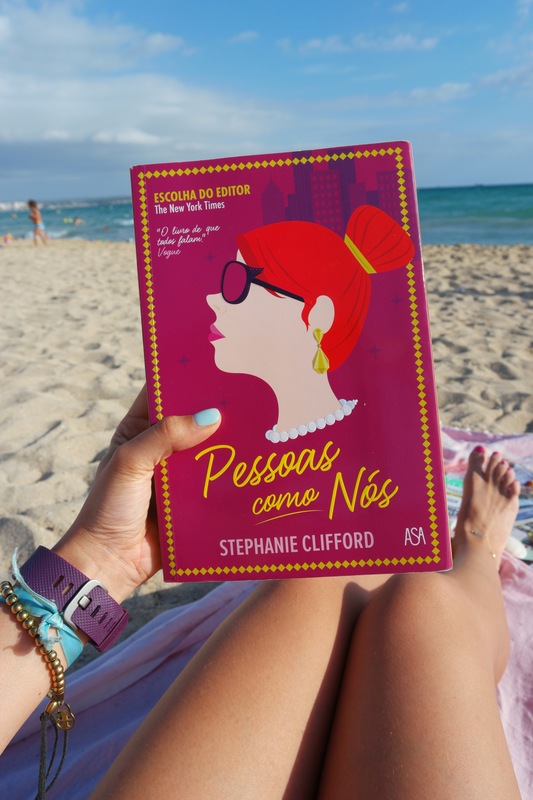 During my vacation week I read Stephanie Clifford’s first novel, Pessoas como Nós in the portuguese version and Everybody rise in the english version. This book was reccommended as “the” summer book in Vogue’s summer reading list. I couldn’t agree more! It’s funny, hillarious, easy to read and clearly portrays the values of today’s society. It take us on a journey to re-consider our priorities and objectives in life, making us reflect on common interests, privileges and principles. Worth reading. It’s time to enjoy and relax! 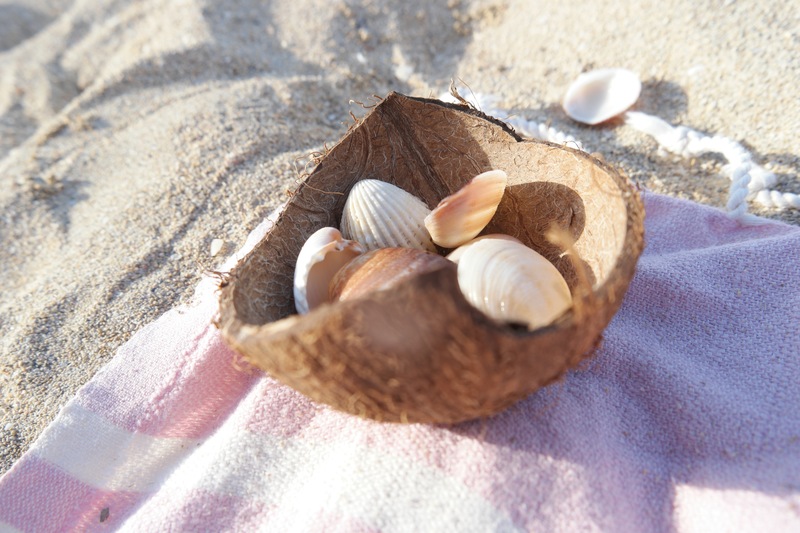 Wish you all a great Summer break and remember to always look around, be present and explore!